Tiergarten is Berlin’s oldest park, with more than five hundred acres of woodland in the heart of the city. Before it was absorbed by the city, the area that became Tiergarten was a natural forest. Throughout its history, it was used as royal hunting grounds and as a landscaped public park, and (in the years of hardship following World War II) an area where trees were felled for firewood, before changing social and political circumstances and the growing ecological movement led to measures to restore and replant this vast public space. Thus, the Tiergarten has become not only a very popular recreation place, but also a biotope of extraordinarily high biodiversity. 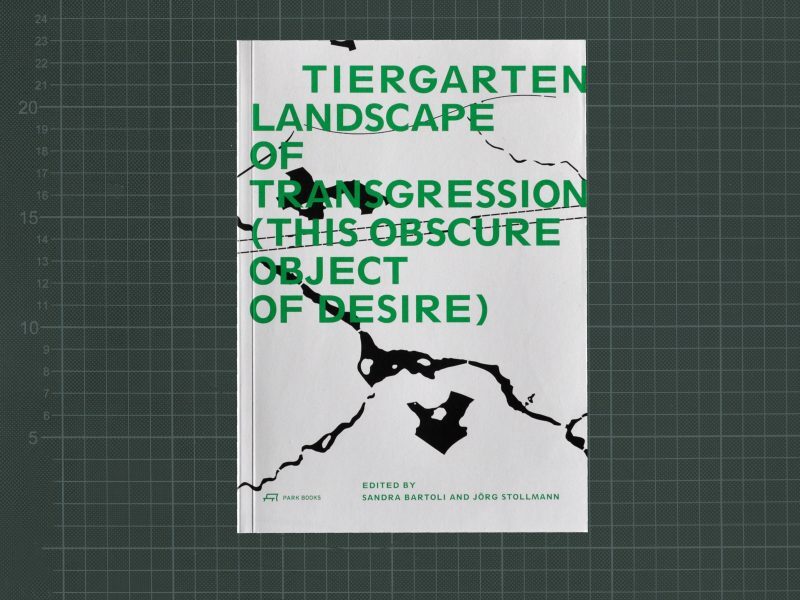 Generously illustrated with historical and contemporary photographs, Tiergarten, Landscape of Transgression takes readers through the history of the park, with an eye toward exploring it as a radical spatial expression – a space where humans and wild species and conflicting histories coexist in close proximity, and as a model for future environments in areas of intense urbanisation. 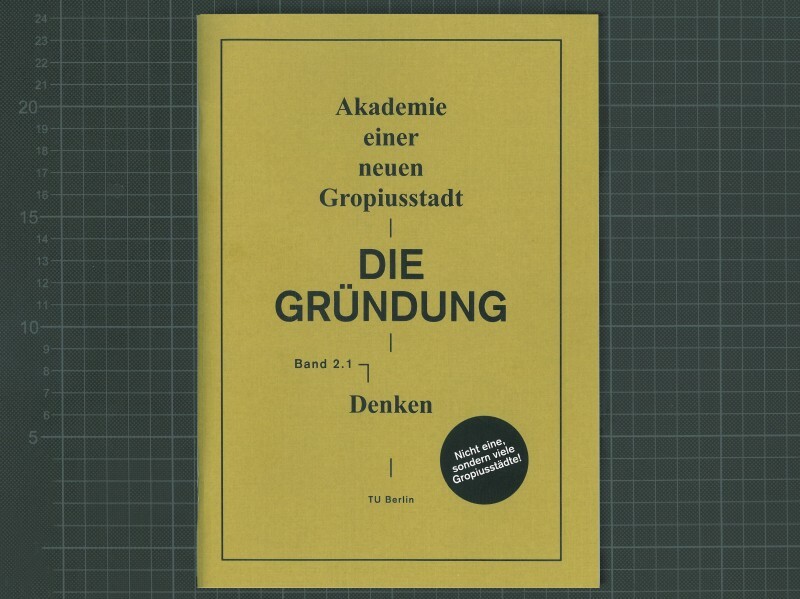 Born of a recent symposium staged by Technische Universitat Berlin, this book brings together twelve essays with a range of archival documents, including newspaper articles, maps, reports, plans, and photographs. 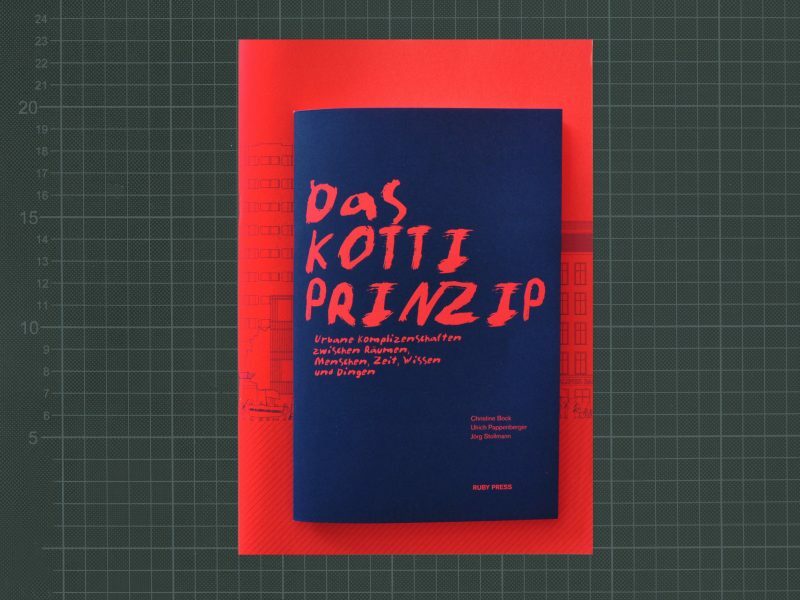 With contributions from/Mit Beiträgen von : Nishat Awan, Christine Bock, Ulrike Hamann, Yamil Hasbun Chavarría, Andrej Holm, Sandy Kaltenborn, Ulrich Pappenberger, Jörg Stollmann;Design/Buchgestaltung : Alexander Kurzhöfer. Space has to be discussed once one focuses on the commons, the natural and cultural resources securing the well-being of a community. The question of availability of these resources includes asking for the place where they are accessible or where they are made accessible and thus always the question of the spatial organization of this society. This publication wants to provide a first overview about historical types of commons, about contemporary theories on urban commons, and speculate about possible forms of future commoning. Die Beschäftigung mit den Gemeingütern, den elementaren natürlichen und kulturellen Ressourcen, die dem Wohle der Gemeinschaft dienen, fordert auch eine Auseinandersetzung mit Räumen. Denn die Frage nach der Verfügbarkeit von Ressourcen schließt die Frage nach dem Ort, an dem diese für die Gemeinschaft zugänglich sind oder zugänglich gemacht werden, und damit immer auch die Frage nach der räumlichen Organisation dieser Gemeinschaft, ein. 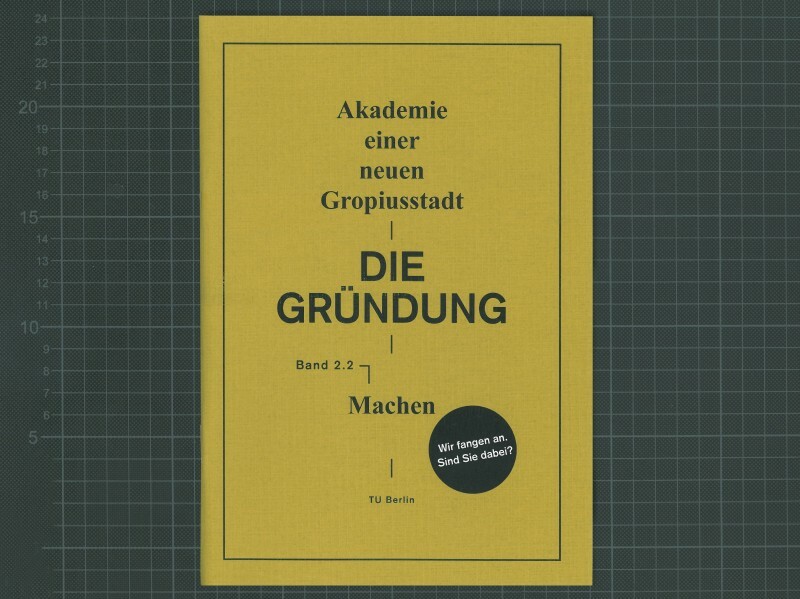 Diese Publikation gibt einen ersten Überblick über historische Typen von Allmenden, über die aktuelle Theoriebildung zum Thema des urbanen Gemeingutes und spekuliert über mögliche Formen von zukünftigem Commoning. Bisher wurden Großwohnsiedlungen vor allem als potenziell belastendes Erbe der Moderne diskutiert. Ihr Ruf ist zweifelhaft, zu wirkungsvoll lebt im kollektiven Gedächtnis das Stigma fort, soziales Ghetto zu sein; Großsiedlungen haftet der Ruf an, a priori unter räumlichen, sozialen und infrastrukturellen Defiziten zu leiden. Allenfalls ein paar spektakuläre Beispiele werden heute wieder unter baukulturellen Gesichtspunkten diskutiert und als Zeugen einer vergangenen Epoche des Städtebaus respektiert. Until now, mass housing settlements are being discussed as a potentially burdened legacy of modernist urbanism. Their reputation is problematic, the stigma of social ghettos is firmly embedded on in our collective memory; they are seen as a priori spatially, socially and infrastructurally deficient. Only some spectacular cases are re-appreciated today for their cultural and historic value, as witnesses of a bygone era of urbanism. 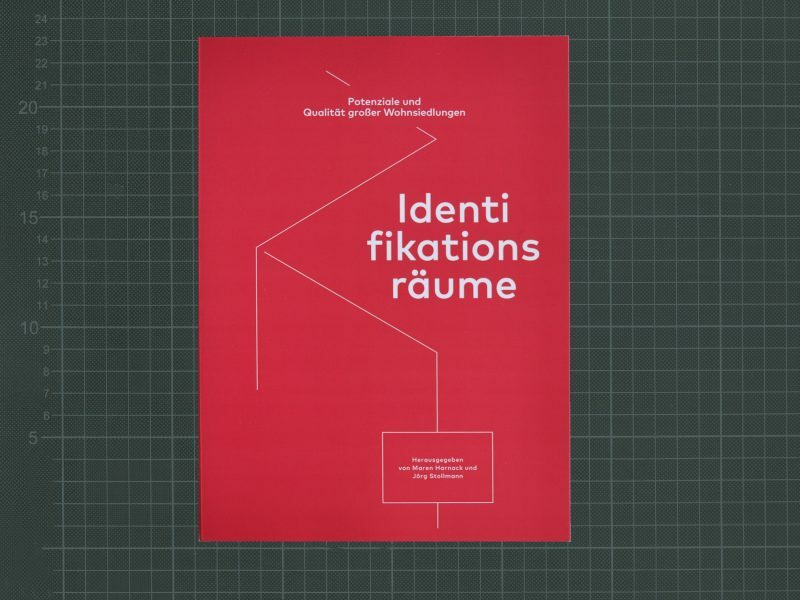 This publication assembles contributions from the conference “Identifikationsräume” (Spaces of identification) which was held in November 2013 at the Frankfurt University of Applied Sciences (FRA-UAS). The contributions shed some light on the specific spatial qualities of mass housing settlements and their ability to establish environments of identity. At the same time, the collection is a plea for the continued maintenance of both the material substance of and the communities that have developed within the large housing estates. 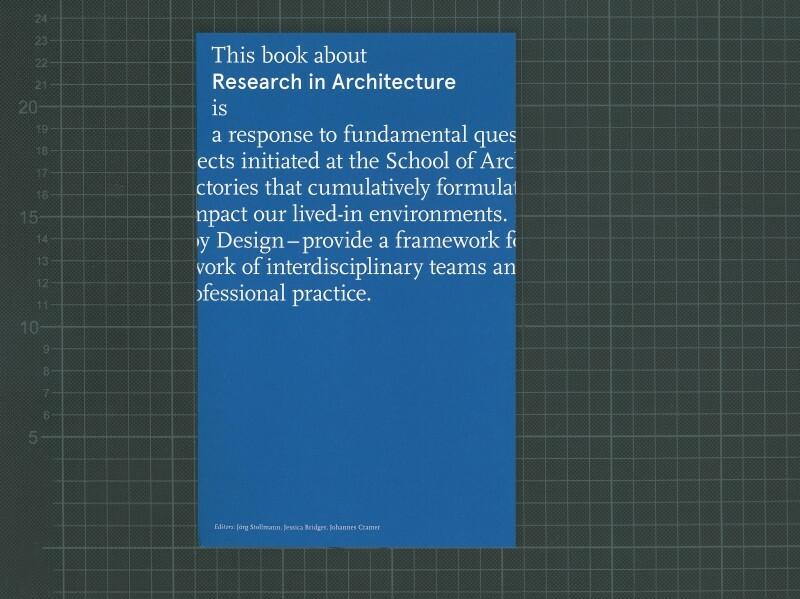 This book on Research in Architecture is a response to fundamental questions about the rise of research practices in architecture. 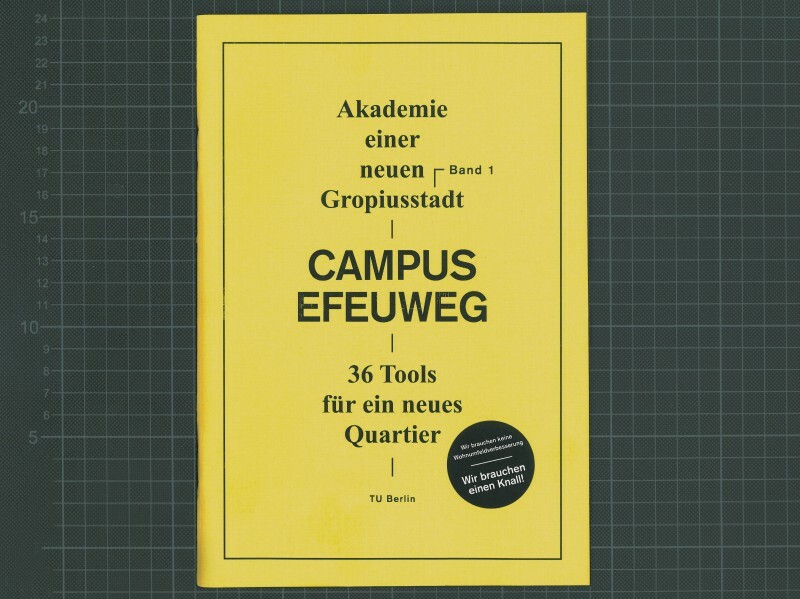 A range of projects initiated at the Institute of Architecture at the Technische Universität Berlin demonstrate research trajectories that cumulatively formulate an integrative vision of how knowledge gathering and production can impact our lived-in environments. Four strategic research clusters – City, Energy, Heritage, and Research by Design – provide a framework for both fundamental and applied research. Contributions include the work of interdisciplinary teams and stretch outside of the typical boundaries of architectural academic or professional practice. 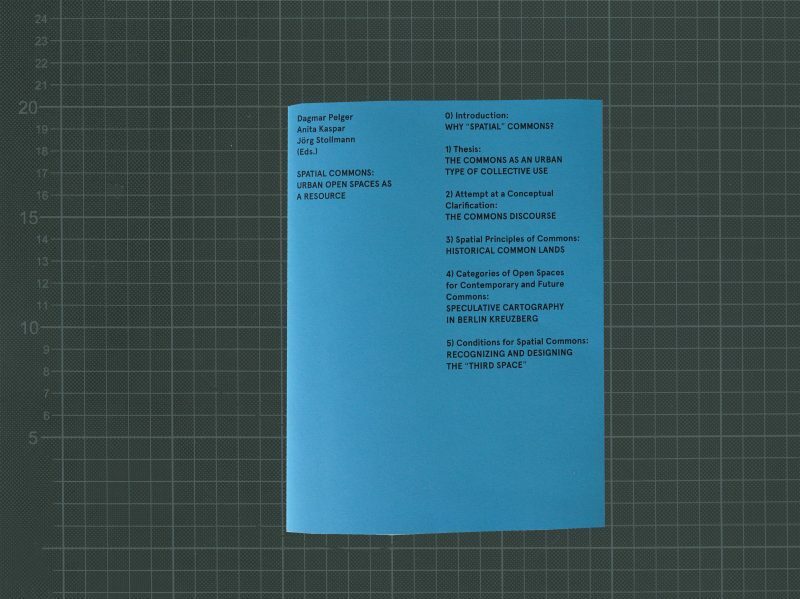 Erhältlich im Institut für Architektur und in ausgewählten Buchhandlungen. Erhältlich im Fachgebiet (A30) und in ausgewählten Buchhandlungen.